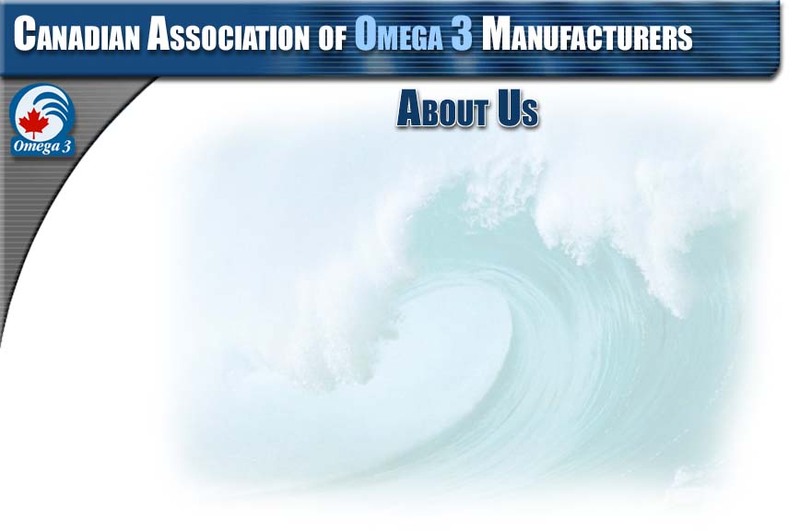 The Canadian Association of Omega 3 Manufacturers was established in response to a need to clearly identify and differentiate high quality, Canadian made long chain omega 3 products. It has become apparent over the past number of years that our flag was being abused in many Asian countries by any number of brands of seal oil claiming to be Canadian made when, in fact, they were not. Most came from raw oil imported into their countries which went through some level of refining and was then sold as Canadian product. This had the undesirable effect of tainting both the quality of the product and the reputation of those companies selling only Canadian made products. It has also made it difficult to compete with lower-priced domestically produced products. The Association was established with dual intent of guaranteeing the consumer that the product meets the highest standards of quality and of protecting the integrity of the truly Canadian made product. To accomplish this, we have registered the Association with the Canadian Government and adopted a logo designed to reflect our commitment to Omega 3. This logo on the label of member companies will be our commitment to the quality and integrity of the product. Members of the Association will be required to meet or exceed the standards set by the Council for Responsible Nutrition in October 2002 and production process must be Canadian Good Manufacturing Practices (CGMP) compliant as defined by Health Canada. Membership in the Association is open to Canadian sole proprietors, partnerships, Corporations or Associations who are engaged in the manufacture, directly or indirectly, within Canada, of finished long chain omega 3 marine oil based products destined for human consumption for sale in Canada or internationally.